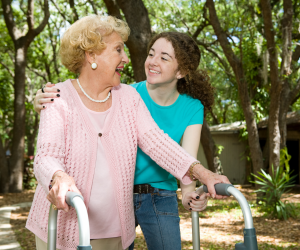 Medicaid eligibility is based upon the assets owned by your loved ones and their monthly income. Our mission at New York Medicaid Consulting LLC is to develop a Medicaid plan that provides the needed Medicaid benefits for your loved ones while protecting their assets and income. There are too many seniors who do not realize that they can be eligible for Medicaid benefits even if they have assets and income. Proper and thorough Medicaid planning allows these individuals to obtain the necessary Medicaid benefits, even if they have assets and income, and protect those assets and income as well. We take the time to meet with the family so that we can fully understand the health and needs of their loved ones and the type of Medicaid benefits that they require. We thoroughly review all of their finances and property ownership to fully understand their financial situation. We develop a comprehensive Medicaid plan to take advantage of all applicable Medicaid rules that will render your loved ones eligible for the required Medicaid benefits while providing maximum protection of assets and income. We work closely with the family to assist them in taking all necessary steps to implement the Medicaid plan developed by New York Medicaid Consulting LLC. We prepare all necessary Medicaid applications and forms and assemble all necessary supporting documentation. New York Medicaid Consulting LLC will submit all applications and documentation directly to Medicaid so that family members do not have to attend and be interviewed at the Medicaid office. We continue to provide any further information or documentation requested by Medicaid until the application is approved. If a Pooled Income Trust or other Medicaid trust is necessary, New York Medicaid Consulting LLC will take all steps necessary to establish those trusts. 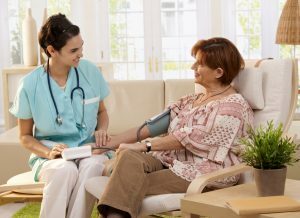 With regard to Community Medicaid benefits, New York Medicaid Consulting LLC will work directly with the Medicaid Long-Term Care Manager to arrange for the home care aides to begin providing services. With Institutional Medicaid coverage, New York Medicaid Consulting LLC will fully coordinate with the nursing home and handle any Medicaid coverage issues that may develop. New York Medicaid Consulting LLC works with the family every step of the way. Once the Medicaid benefits are activated, New York Medicaid Consulting LLC remains involved with the case, without additional fee, for the life of your loved one. Should any Medicaid related issues arise at a future time, New York Medicaid Consulting LLC is there to provide all necessary assistance. We are always there to meet the needs of the family and their loved ones. Let New York Medicaid Consulting LLC take care of all the Medicaid needs for your loved ones so that the family can focus on the joy of family relationships without the burden of navigating the Medicaid process.